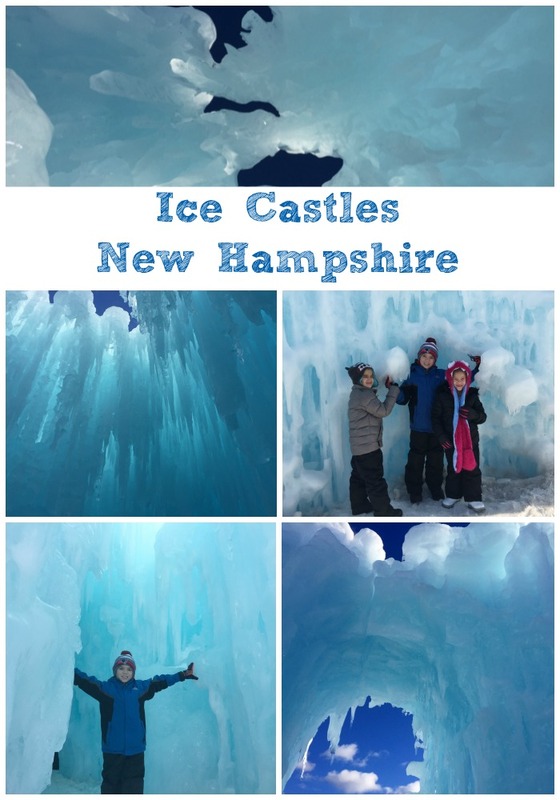 The Ice Castles in Lincoln New Hampshire! 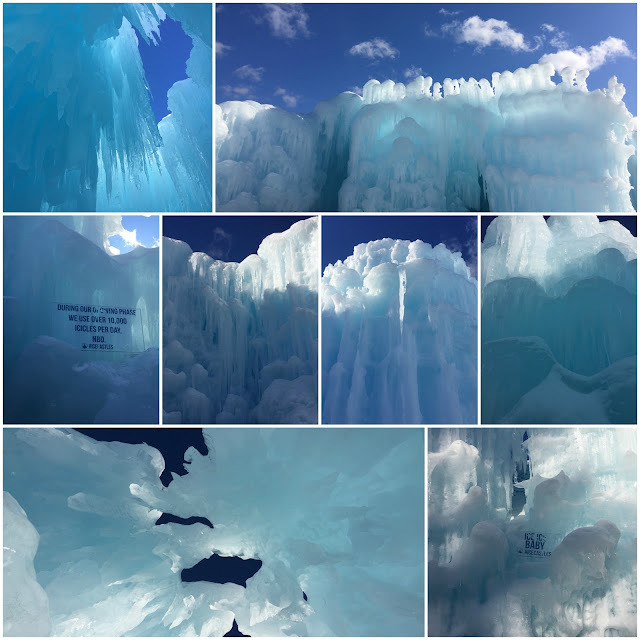 On Friday we were invited to visit the Ice Castles in New Hampshire for the first time and I am still astonished at how beautiful these ice creations are. 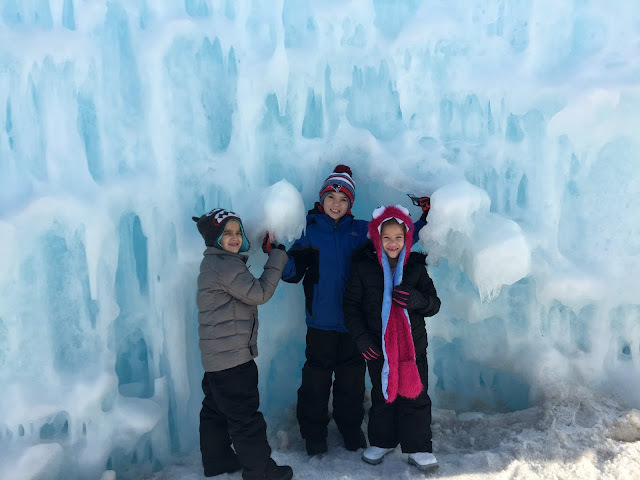 After parking we bundled up in hat, gloves, Snow Boots, and snow pants for the kids. 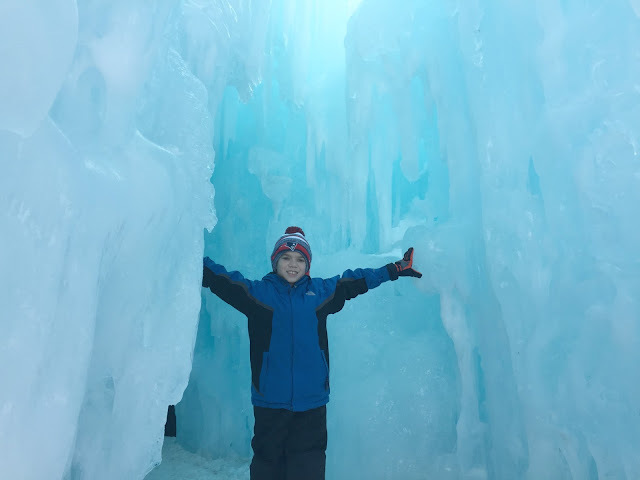 It is very cold outside this time of year in the White Mountains region of New Hampshire, so I knew we needed layers if we wanted to stay out long enough to enjoy the castles and still feel our fingers. 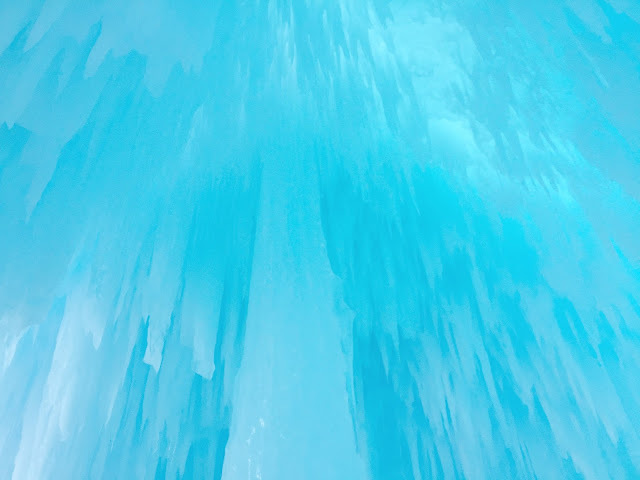 I had also read on their website that snow boots are best because even the ground is made of ground up ice. Once we bundled up, we headed into the Ticket area, where they scanned our tickets that I had printed out. If you don't purchase your tickets online, you can do so at the ticket counter. 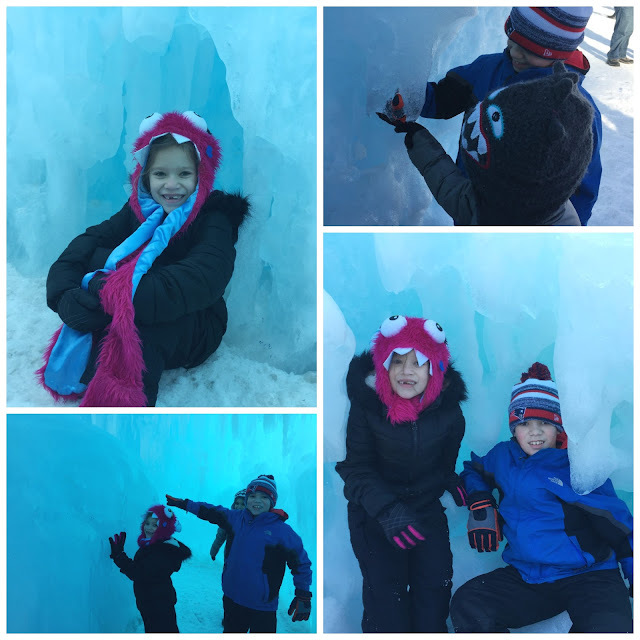 I then signed waivers forms for everyone entering as the kids received fun Ice Castle pins. Once through the ticket area we walked around the building to enter the beautiful castles. 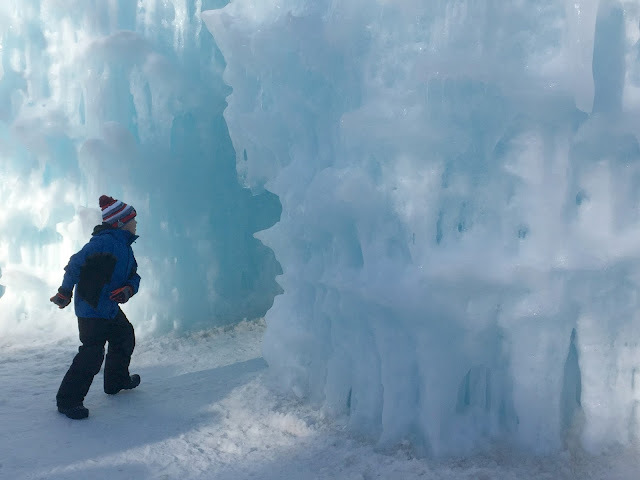 I didn't know what to expect, the Ice Castles have only been around for a couple years, however I have seen the pictures of them all over social media. Well the pictures don't do the castles justice. 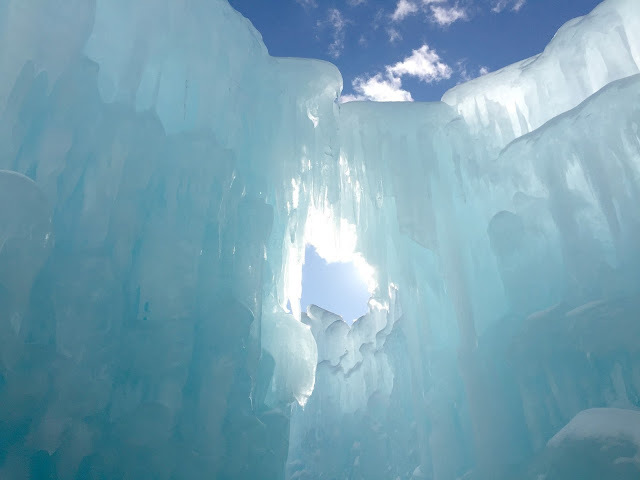 I was taken away by how they were able to create such amazing structures using only ice! The castles have all sorts of walkways and rooms to explore. 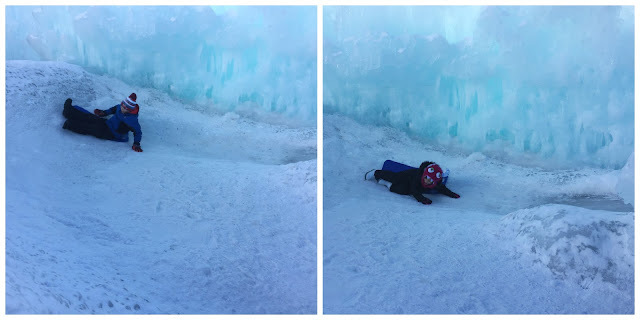 The kids favorite part was the slide, you climb up an ice walkway to get to a huge tunnel ice slide that we rode down on mats which was very convenient because I was only wearing jeans. 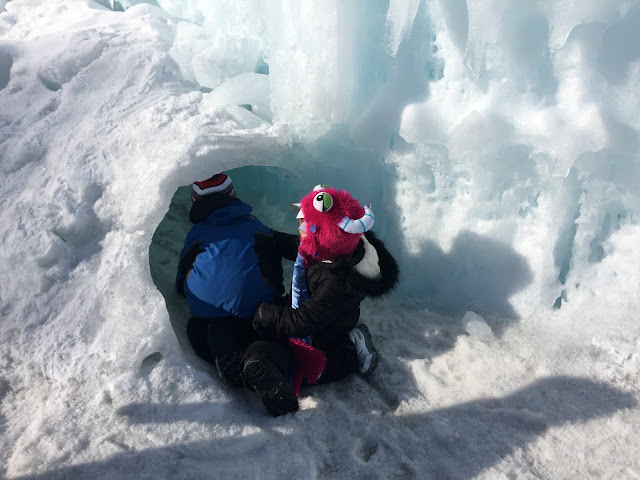 The line for the slide was about 20 minutes long, and in the frigid temperatures that felt a lot longer, so we only did it once. 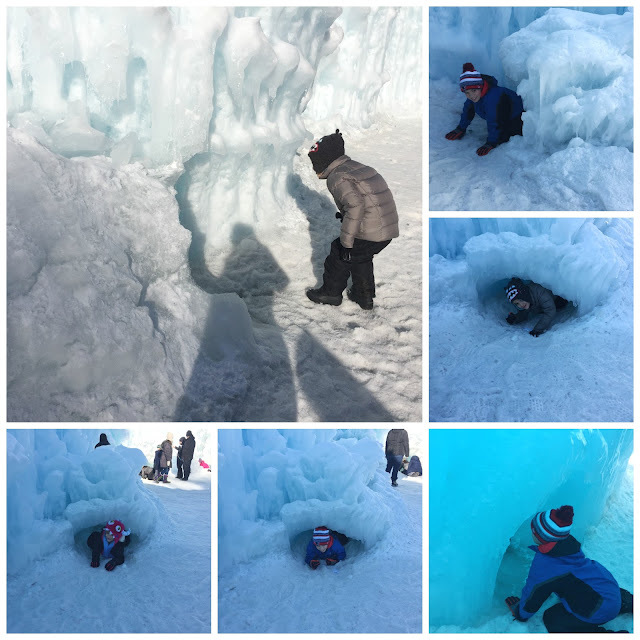 Luckily they have ice tunnels all around and the kids loved crawling all around inside. 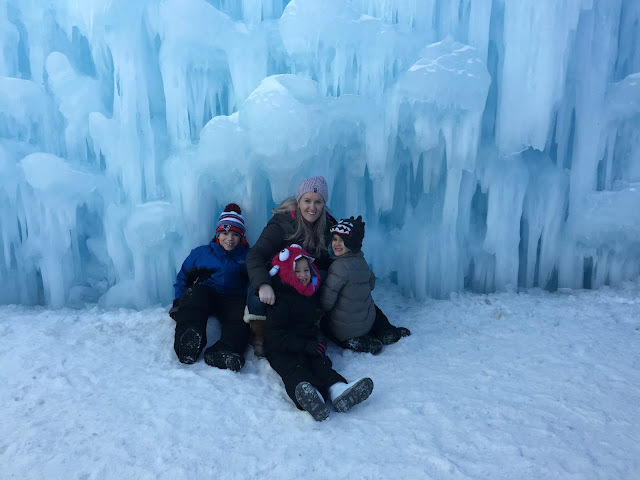 We stayed about 2 hours before the kids started complaining about frozen toes. Luckily on the way out they have a nice little concession stand that sells hot cocoa ($3 each) and absolutely delicious cookies ($3 each). 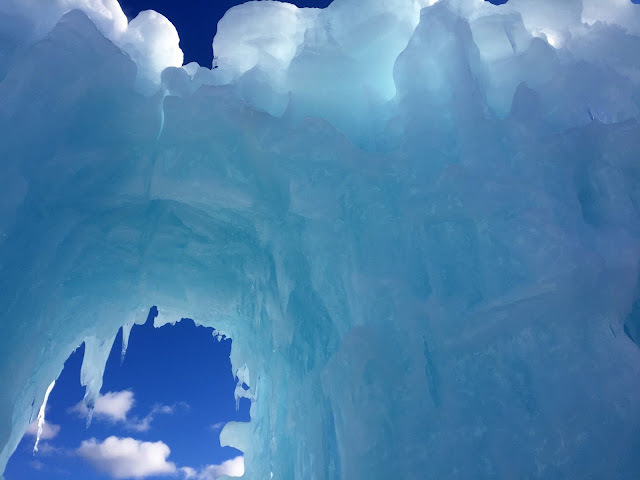 Visiting the Ice Castles was an awesomely unique experience that is definitely worth doing when visiting New Hampshire in the winter months. Coupon for 15% off here!